Mahalo to my friend Easter for sharing this. 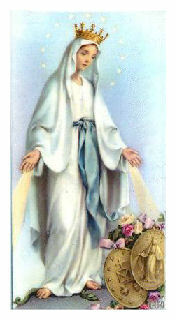 Most Holy Mother, we beg you to reclaim this land for the glory of your Son. Overwhelmed with the burden of the sins of our nation, we cry to you from the depths of our hearts and seek refuge in your motherly protection. Look down with mercy upon us and touch the hearts of our people. Open our minds to the great worth of human life and to the responsibilities that accompany human freedom. Free us from the falsehoods that lead to the evil of abortion and threaten the sanctity of family life. Grant our country the wisdom to proclaim that God’s law is the foundation on which this nation was founded, and that He alone is the True Source of our cherished rights to life, liberty and the pursuit of happiness. Without the spiritual nourishment that comes from the Body and Blood of Christ, human love always remains contaminated by egoism. However, communion with the Bread of heaven converts hearts and infuses in them the capacity to love as Jesus has loved us. and the Holy Spirit in Thy glory for ever. The answer is YES! We are given the grace to avoid purgatory. We must strive to attain Heaven because God desires it. To avoid purgatory is to honor and magnify the redemption of Christ. Where sin abounds, grace super-abounds. Let us show God our gratitude. We have great opportunities for paying our debt. The month of November is upon us. We are entering the marvelous season devoted to the dead. The Feast of All Souls is celebrated on November 2. 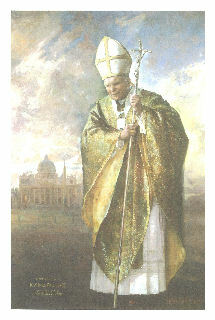 There is not one saint who has more than one given Feast Day. However, the whole month of November is given over to the remembrance of the deceased. Make this November the best one in your life! So how do we avoid purgatory? Avoid sin at all costs: mortal sin and deliberate venial sins. A little girl was asked about sin. She said, "Mortal sin makes God angry, venial sin makes him nervous!" Break off all bad habits. Monthly confession. 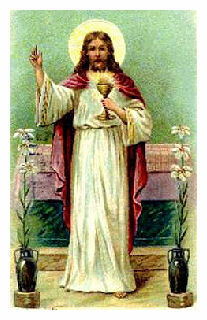 Daily Mass and Holy Communion. Daily Rosary. Pray, pray, pray. We must return to the Upper Room and rediscover the power of prayer that Our Lady begs of us in all her apparitions. We are all invited to say "Yes, thy will be done," and become her burning bushes of prayer. Visits to the Blessed Sacrament: Love and adore our precious Jesus who is waiting for you to give you many special graces. His heart breaks from the sins of our poor world. Go and comfort, adore and kneel before the Lord our God in reparation for the sins of the world, the dying, the souls in purgatory. Read Scripture. As the Little Flower says, "Do many little things." Perform random acts of kindness. Be always in a state of acceptance of trials and death. Forgive. Avoid judging others. Parents and grandparents: form kind and merciful hearts in your children. You will have planted the seed of reverence and in due time this will manifest itself and will assure you of their suffrages. The surest means of avoiding purgatory is to aid the suffering souls in purgatory! Let us ask three graces of Jesus: To avoid purgatory, to learn from purgatory, and to empty Purgatory. Listen here especially well, for there are among these silent voices those that you know. They are the voices of family and friends, of those who helped you in your life. And what they say is, "Have you forgotten us? You promised never to forget us! Give us your feet by going to hear Mass for us. Give us your eyes by watching to perform a good deed for us. Give us your hands by giving alms or an offering for a holy Mass. Give us your tongue by encouraging others to be charitable to us. Give us your body by offering up for us to God all its labors, fatigues and penances." "Become our deliverers and we will become your powerful intercessors forever."